History probably shows that Fall is the worst time of the year to sell a house. But Leigh and Pat Borland managed to sell ours. In one day. They will probably tell you that my wife and I had a lot to do with the fact that our house sold so quickly. Yes, we did everything they told us to do. But, obviously, they told us the right things. Yes, we priced it correctly. But, obviously, their guidance in this area was absolutely crucial. We interviewed three for the job. We knew that a good real estate agent does much more than pound a "For Sale" sign in the front yard. We expected some advice, guidance and a little hand-holding through the process. Leigh and Pat gave us much more than what we expected. First, they brought in a "stager" to make suggestions about making the house look more appealing to a wide variety of potential buyers. Then they helped us move the furniture. Second, they suggested we wait to have the house photographed until a particular photographer was available to do the work. The photographic results were astounding. Even our relatives commented that our house "never looked so great!" And when our cell phone rang at ten o’clock on a Sunday night while on a biking trip in Wisconsin, we couldn't believe it was Leigh telling us we had two good offers on our house. It had been on the market for one day. In short, we're convinced it would not have happened as quickly had Pat and Leigh not been our real estate agents. Pat and Leigh have been true professionals in helping our family with multiple real estate transactions. Buying or selling a home is an extremely emotional event. It is critical to have someone you trust quarterback the process. Pat and Leigh listened extremely well when we were searching for our home. The big advantage here was the amount of time this saved us in the process. Pat and Leigh were in tune with what we were looking for in a home. 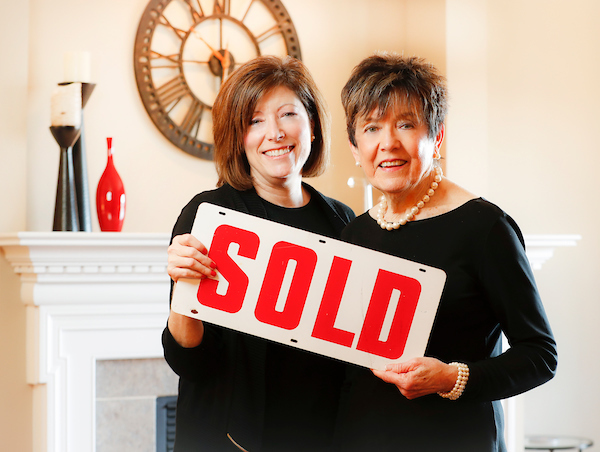 When selling our home, Pat and Leigh have always done their homework. This allowed us to get a good price for our home in a reasonable time period. They worked very hard to negotiate and close the transaction. In addition, Pat and Leigh excelled in managing the entire process. This always allowed us not to have to get involved in the day-to-day issues that came with selling our house. And it allowed me to continue to do my job while Pat and Leigh did theirs. Overall, our experience with Pat and Leigh has been wonderful. The key has been the absolute trust we have in them.